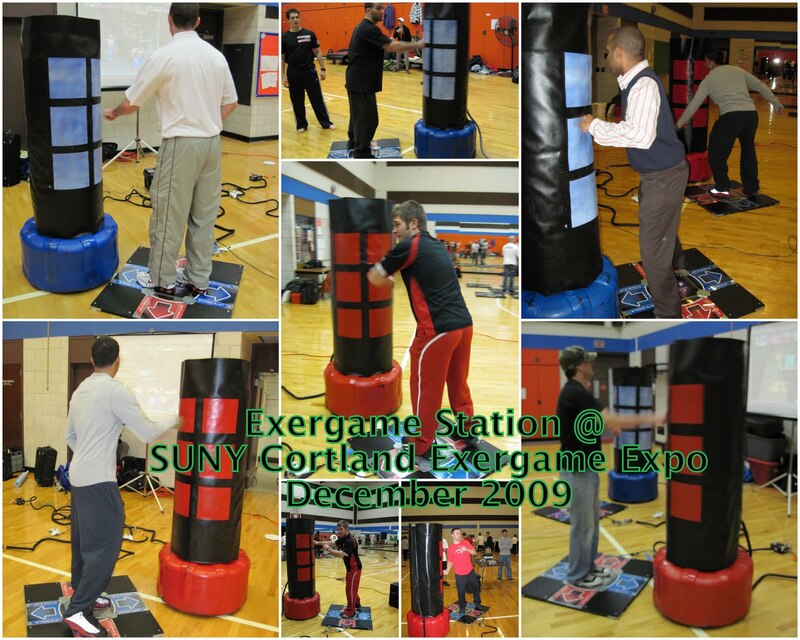 I've been wanting to showcase the Exergame Station for a while and I've actually had a great chance to test it out here at SUNY Cortland. Mike Pelletter was nice enough to drive down here and set up two stations during the 2nd Annual Exergame Expo back in December 2009. We had a blast letting the punching bag (mapped with control buttons) know what to do with your on-screen character. The great thing about it is that you can play any type of game on this whole-body exergame controller, so long as the action is not too fast. You get a serious workout because you have to use your entire body to play the game - and the fact that you are doing serious kicking and punching at near maximal exertion levels which raises your energy expenditure. Again, the more vigorous the activity, the higher the health benefits - if its done repetitively for a sustained duration of time. Remember the FITT principle? 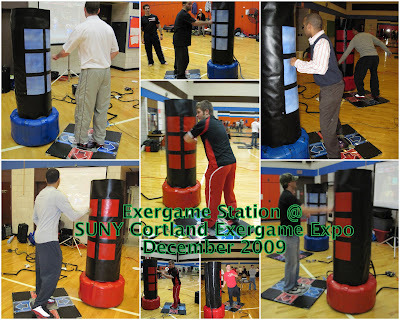 These Exergame Stations were obviously prototypes and one more refined than the ones in the video below so there's no telling what the next version might look like. 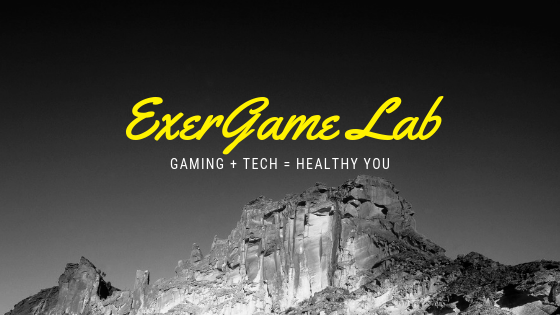 Keep your eyes open for any updates on the Exergame Station here at the Exergame Lab. 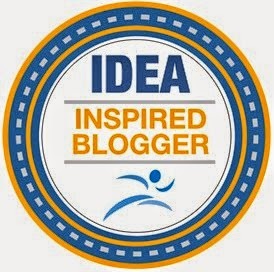 In the meantime, get kicking, get active and stay well! An interestingly similar product was spotted recently called Interactiv' Boxing created by Domyos Fitness. Integrating a LED light system, the interactive punching kit when banged or kicked illuminates to increase playfulness, while the 10 training programs lets the user change exercises and games with minimum fuss.